Out of all homeowners updating their favorite outdoor spaces, 29% of those spaces consisted of a complete upgrade in terms of landscape and 58% of changes were more simple, like paving. But it’s the backyard that won in terms of the percentage of homeowners making a change at an extraordinary 64%. It makes sense. The backyard is the paradise of summer fun. Camping, BBQs, and block parties are just a few of those fun events to look forward to. And if your backyard isn’t looking the greatest, it can lead to a sense of great embarrassment. But it may not be your entire backyard that needs to be upgraded. It may just be your deck. Signs your deck has seen better daysEven if your deck is stylistically sound, it may not be a good idea to have a deck that has signs of rot. Rot isn’t good anywhere, but if your deck is old and isn’t pressure treated, the posts holding your deck in the ground may absorb water and begin to rot which will eventually cause your deck to collapse if left untreated. Additionally, if there’s no ledger flashing on your deck, that rot may very well be in your house rather than your deck. Ledger flashing is what keeps water from running from your deck to your house. If there’s no ledge flashing, rot can build up along your house’s siding, which may result in your deck’s eventual collapse. Another sign your deck has seen better days is if the structure is weak. If your railing shakes, the floor boards creak and wiggle, and the ledger boards aren’t secure these can be safety hazards and may result in injury should any of these features come loose. If you can, repair your deck or simply get a new one with a more updated style. Your focus should be on the functionality of your deck first and foremost. Make sure your new or repaired deck is stable, has ledger flashing, and is able to withstand pressure so water isn’t able to seep into the posts and create rot. 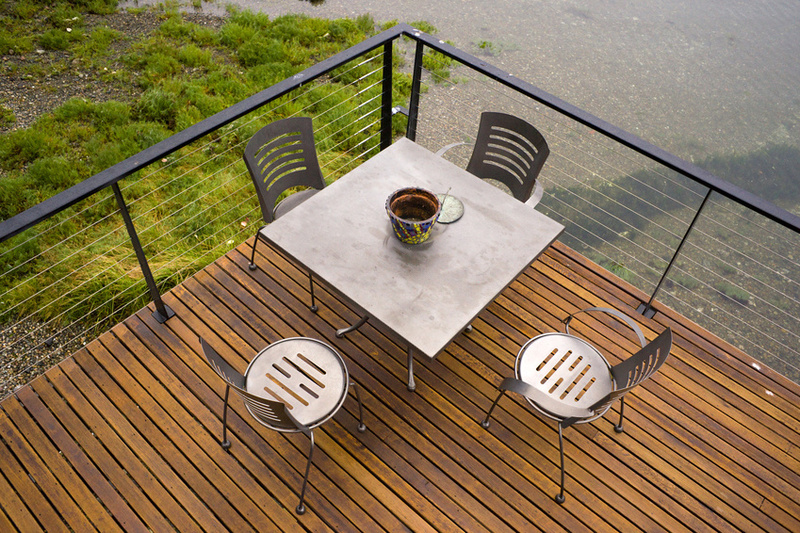 Consider upgrading your deck railing as well as the deck itself. Cable railing for decks such as steel wire railing allows your kids or your neighbors’ kids to stay safe on the deck when socializing has drifted closer to the house in the evening hours. The simple addition of a cable handrail or cable rail will prevent common safety hazards and injury. Furthermore, a steel wire railing has a sleek look to it and unlike a chunky wooden railing, a cable deck railing allows you and your guests to gaze out onto the landscaping of your backyard. Outdoor decks can age over time along with your home. Be sure to perform routine maintenance to keep your deck up to date and safe for you and your family. Upgrade your deck periodically whether it’s adding steel wire railing or updating the post connections to stay in style and to keep your summer safe and fun.